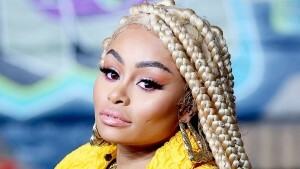 Blac Chyna’s been gunning after her ex-fiancé, Rob Kardashian, and his family in a major battery and harassment lawsuit. However, all of the ladies but one can rest easy as the former stripper is reportedly filing a new complaint, today, in the case, and she’s only targeting one of them. According to reports, Kourtney, Khloé, Kylie and Kendall are now left off of the list of defendants, only leaving Kim to fight the good fight. Blac Chyna, whose real name is Angela White, detailed the abuse she allegedly endured in the revised legal papers, stating that Rob, whom she called an “abuser,” plotted alongside his most famous sister and their momger, Kris, to destroy her after she broke up with him. It remains a mystery why Chyna chose to drop the majority of Rob’s sisters from the lawsuit.